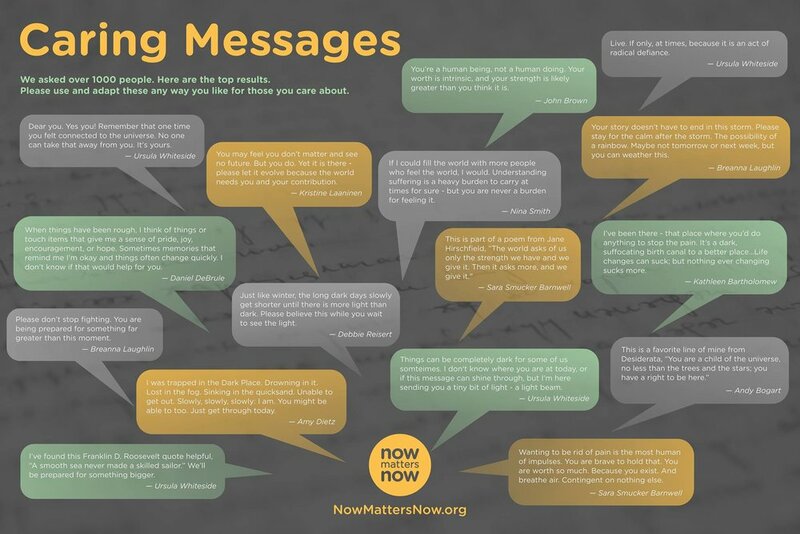 From NowMattersNow.org: "Caring messages are a simple way to reduce the space between us. Here are some examples of messages you can send to somebody you know is going through a hard time. Steal and adapt to your liking." Do you know someone who needs a caring message today? If you are the one who needs it, here's one from me.